It’s funny but, up until a few years ago, I wasn’t much of a watch person. Sure, I wore one but it was purely functional, rather than as a piece chosen for its looks and performance. 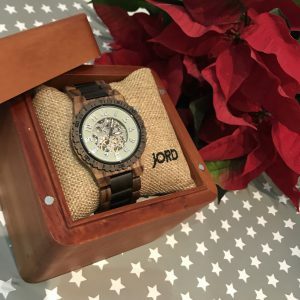 That’s where this Jord Dover wood watch comes in. Watch aficionados will be impressed by its Seagull movement (the ticking ‘engine’ inside that makes the watch work) as this is the same movement manufacturer that powers lots of prestige watches. That means accuracy and precision is guaranteed. It’s automatic too, so you don’t have to wind it, as the movement from your wrist keeps it ticking along. I also love the fact that it has a ‘skeleton dial’ so you can see the inner workings. Again, this is the sort of thing that watch aficionados swoon over. It’s also splash resistant. My favourite thing, though, is the 100% natural wood finish. It’s so tactile and feels great on the wrist. 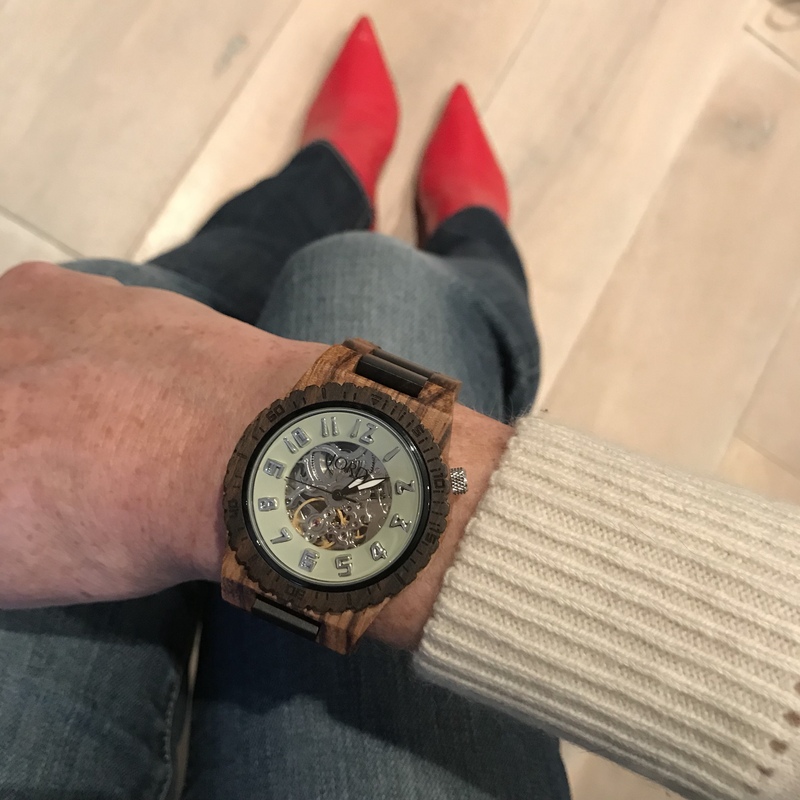 It’s also a real talking point as wood cases and straps are still something of a rarity in the watch world. 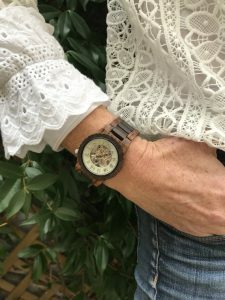 This women’s wooden watch is elegant, sophisticated and tasteful. It also neatly references the current hot trend for women wearing bigger timepieces. Jord does custom engraving too, so it’s great for gifting. This watch, though, is staying firmly on my wrist. Now I’ve got it, I ‘wooden’ let it go. Sorry, couldn’t resist. Check out the full range for women and men.